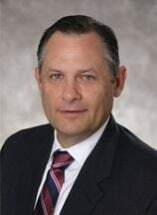 An AV-rated attorney, John W. Forehand brings extensive experience to his ongoing practice of motor vehicle franchise, litigation, business transactions, and administrative law. He primarily represents motor vehicle dealers in disputes with manufacturers and regulatory agencies. Forehand advises dealers in matters relating to dealership transfers, termination actions, dealership additions and relocations, and all other matters associated with the dealer/manufacturer relationship. Additionally, he advises dealers on issues of regulatory compliance and consumer disputes. Forehand assists clients in buying and selling motor vehicle dealerships, including transactions involving individuals and publicly held corporations, and assists clients in locating potential buyers or sellers. He is also experienced in general commercial litigation.